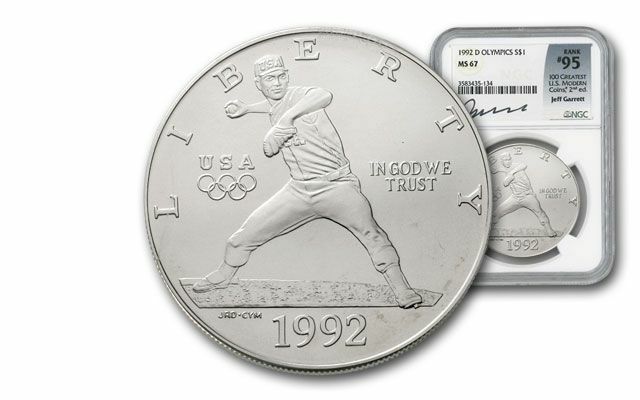 This 1992 Baseball Silver Dollar was struck at the Denver Mint and commemorates the 1992 Olympic Games. 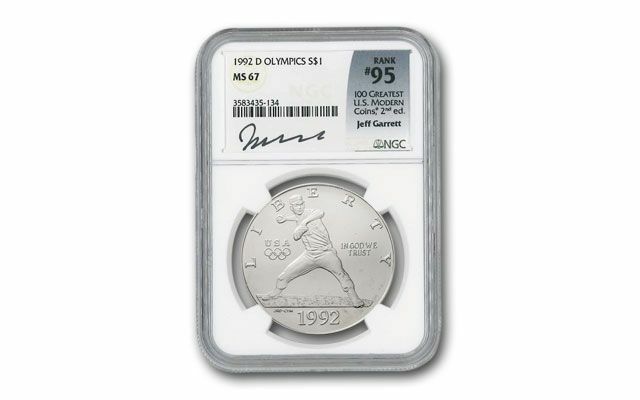 It's part of the 100 Greatest U.S. Modern Coins List and is graded Mint State-67 (MS67) by Numismatic Guaranty Corporation (NGC). Each coin also includes a special hand-signed label by Jeff Garrett certifying the coin as part of the 100 Greatest. This is the first commemorative coin issue to be struck by the United States that features edge lettering. "XXV Olympiad" is written four times around the coin's edging. 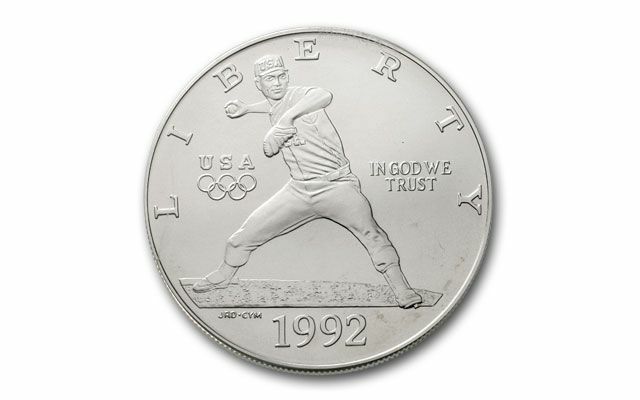 The obverse features a baseball pitcher winding up to throw a pitch. Inscriptions include LIBERTY across the top, USA, and Olympic rings to the left, IN GOD WE TRUST on the right, and the date below. It was designed by John R. Deecken. 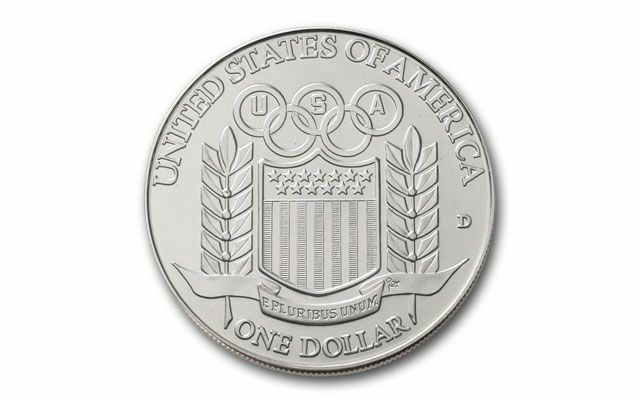 The reverse shows the Olympic rings with USA inside, two olive branches extending up the center of the coin, with a stars and stripes shield in the middle. Inscriptions include UNITED STATES OF AMERICA, E PLURIBUS UNUM, ONE DOLLAR, and "D" mint mark. Designed by Marcel Jovine. Add this classic 'First' to your collection.